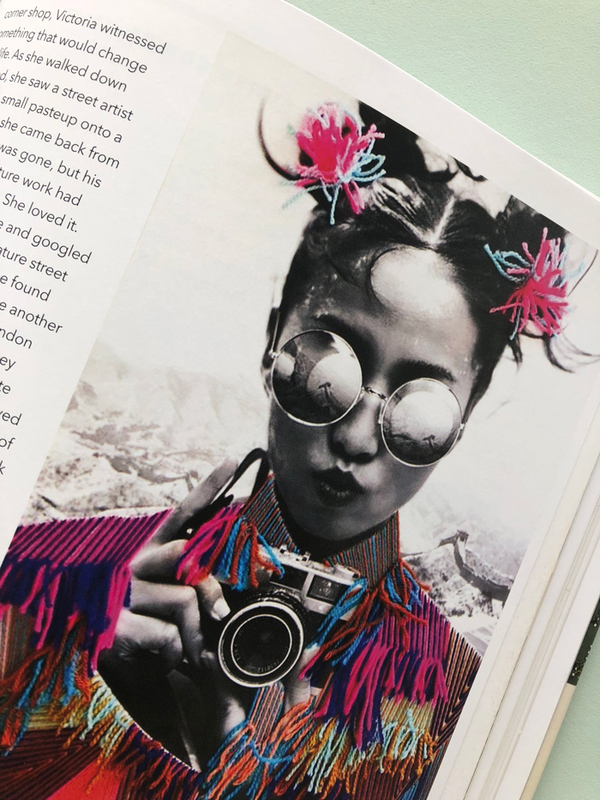 Books about contemporary art are difficult because of their potential to age quickly or to put too much emphasis on artists whose moment doesn’t last. 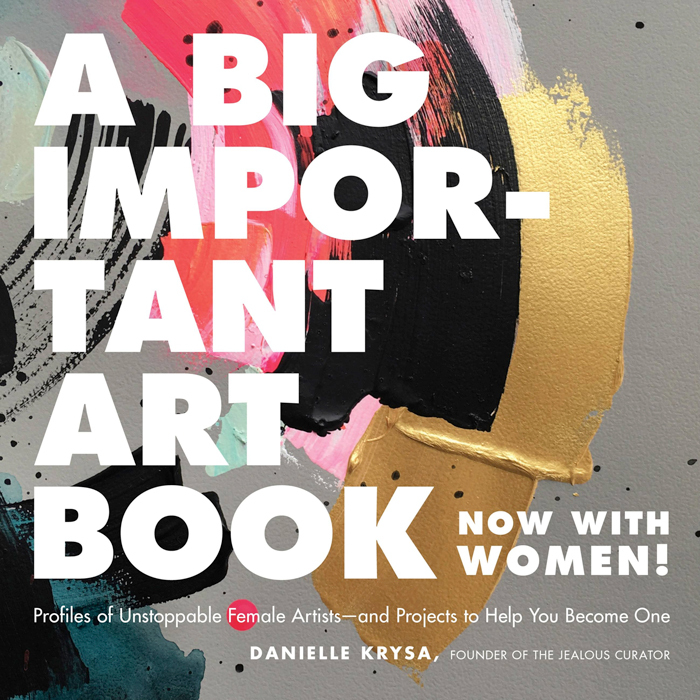 A Big Important Art Book, Now With Women: Profiles of Unstoppable Female Artists by Danielle Krysa is completely different. A review of the book appears in Kolaj #24. This collage books article appeared in Kolaj #24. To see the entire issue, SUBSCRIBE to Kolaj Magazine or Get a Copy of the Issue. The artists in Krysa’s book are not portrayed as mystical gods, creative witches, or magic geniuses. They are women who struggled, worked hard, and nurtured their talent. They made creative lives for themselves, often while figuring out how to make a living, have a family, and overcome family expectations and a naysaying society around them. Danielle Krysa has a BFA in Visual Arts, and a post-grad in graphic design. She is the writer/curator behind the contemporary art site, The Jealous Curator (est. 2009), and has curated art shows from Washington DC to Los Angeles, San Francisco to Toronto. 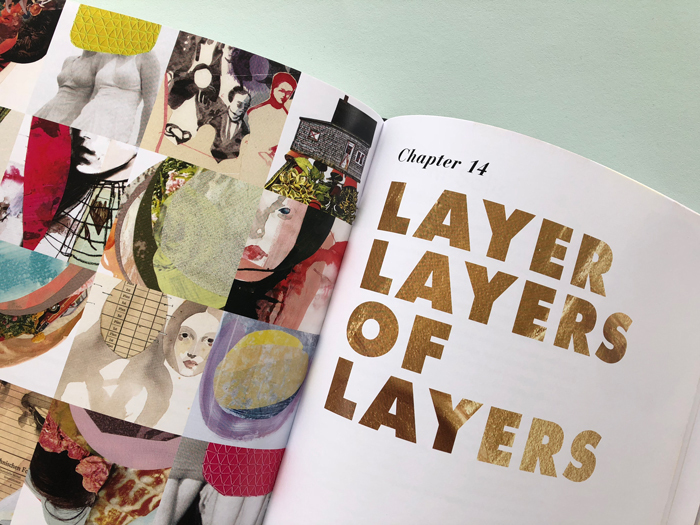 Danielle creates her own artwork as well—mixed media collages which combine found images, paint, and as much humour as she can pack into each title. Krysa is the author of Creative Block, Collage, and Your Inner Critic Is A Big Jerk. Her fourth book, A Big Important Art Book (Now with Women), was released on 2 October 2018. In addition to being the keynote speaker at Kolaj Fest New Orleans 2018, Krysa has also spoken at TEDx, PIXAR, Creative Mornings, CreativeLive, and was interviewed for several video segments on oprah.com. Visit www.krysa.com to learn more. See more Collage Books on the Collage Books page, HERE.